Here's the story of how Aquino-era Health Secretary Janette Garin chronically ignored expert opinion and launched what possibly is the biggest Public Health scandal in the country to date. 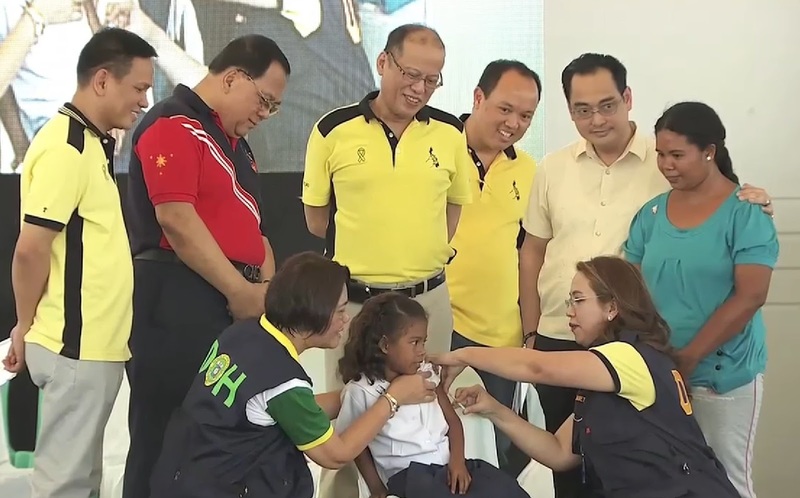 On 04 April 2016, the then-President Benigno “Noynoy” Aquino and Department of Health secretary Janette Garin launched the National Immunization Program to provide free dengue vaccine to indigent public school students in three regions in the country with the highest dengue incidence: NCR, Central Luzon, and CALABARZON [RTVM]. Over 700,000 4th graders have received Dengvaxia so far. The dengue vaccine used for this program is Sanofi’s Dengvaxia and the health department planned to vaccinate 1 million 4th graders [WHO]. The vaccine’s anticipated impact on dengue burden is expected to stem from its documented ability to prevent 8 out of 10 dengue hospitalizations and up to 93% of severe dengue that includes hemorrhagic dengue fever that can be fatal in vaccinated study participants 9 years and older. Sanofi and the Aquino Government didn’t tell us the entire story because long-standing fears on product safety were finally confirmed recently when Sanofi, in a 29 November 2017 press release, admitted that Dengvaxia increases the risk for severe dengue on 4th graders with no prior history of the disease [Sanofi]. That is, persons who have never had dengue before and were inoculated with Dengvaxia, if infected with the dengue virus, will suffer from the disease as if it was their second dengue infection. A healthy individual gets infected with dengue. He suffers from dengue fever and somehow recovers from it. However, if he gets infected again, the secondary dengue fever will be worse than the first. Suffice it to say, secondary dengue has higher mortality rates than primary dengue. 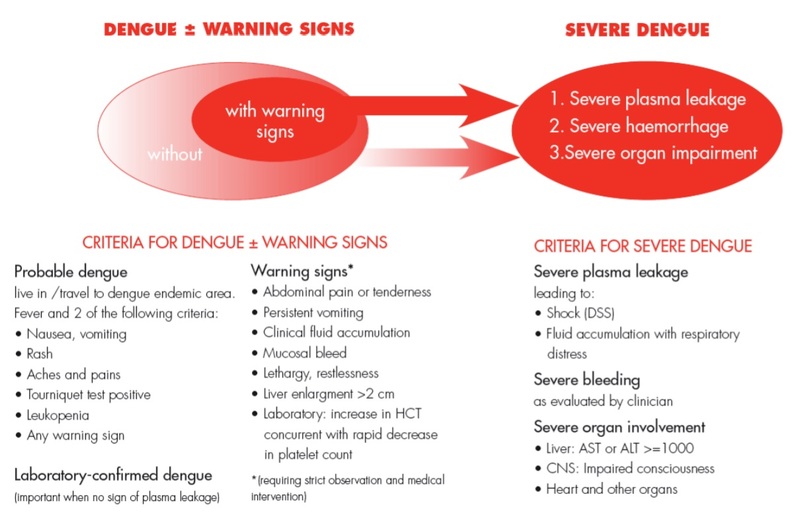 There are basically two kinds of dengue fever: regular and severe. As the name suggests, severe dengue fever has higher mortality rates than regular dengue fever. A person infected for the first time usually suffers from regular dengue fever. If that person survives the first infection, then he must do everything he can to avoid getting infected again, as that would result into severe dengue, which is much more likely to kill him. Some severe dengue cases result in organ damage (heart, etc). Now, what did Dengvaxia do to the 4th graders who have no history of dengue? Suppose we have a 4th grader who has never been infected with dengue receives Dengvaxia. If that child gets infected with dengue for the first time, that child will suffer from severe dengue instead of just regular dengue. In short, the child would have been better left without the vaccine, as Dengvaxia increases the dengue mortality rates for recipients who have never been infected with dengue. Simply put, Dengvaxia is poison for those who have never had dengue… but Aquino and Garin wanted it anyway. The DoH and Sanofi were not totally honest. First, the vaccine is a lot less effective to those who have never had dengue. If you have had dengue, the vaccine's efficacy is 81 per cent. However, if you have not been infected with dengue before, this figure is only 38 per cent [ST]. The vaccine’s effectiveness against those who have previously been infected with dengue is undeniable. However, the vaccine is a lot less effective if the recipient is seronegative for dengue, i.e. the recipient has no traces of dengue virus in his or her bloodstream. Second and more importantly, health experts have been warning the entire time that Dengvaxia may have considerable adverse effects on seronegative recipients. “…We talked to several health experts and they told us that they had already warned government long before about the possible adverse effect of the new drug on individuals with no prior history of dengue [Senate]”. Gordon’s warnings were bolstered by no less than the March 2016 World Health Organization (WHO) report just a few months later and just days before Aquino and Garin launched the Mass Vaccination Program. Ironically, this report appears to have been used as the basis of the Mass Vaccination Program. WHO already said over and over that the vaccine may do more harm than good to recipients who have never had dengue prior to inoculation (seronegative)… and WHO said it multiple times BEFORE Garin’s DoH launched the mass immunization program. My gahd, I heyt drahgs! The Food and Drug Administration (FDA) approved Dengvaxia on 23 December 2015 but it was put on hold five days later pending the release of World Health Organization (WHO) guidelines [GMA]. Despite the lack of WHO guidelines, Garin vouched for Dengvaxia just days after the DFA announcement, in an interview with Karen Davila [YT] in 03 January 2016.
Who is the perfect candidate to receive the dengue vaccine? . . . I've never had dengue. Ako ba, should I be vaccinated anytime? Yes. It's recommended for those nine to 45 years old,” Garin said. Oh crap! From where does Garin derive her blind faith on Sanofi and Dengvaxia?! The Aquino government seems to have changed its mind when the Philippines hosted Dengvaxia’s global launch on 11 February 2016 [CNN], or over a month before WHO’s 17 March 2016 publication of its background paper Dengue Vaccines on [WHO]. The Aquino Administration bought P3.5 billion worth of Dengvaxia in March 2016. Note that all contracts worth in excess of P50 million require the signature of the President. To give Garin the benefit of the doubt, I presume that Garin used the 17 March 2016 WHO guidelines [WHO] to justify the April 04 launch of the mass vaccination program, as they are the only guidelines available at the time. The problem: that same WHO document contains so many red flags that Garin willfully ignored. Let me list these red flags down one by one. The WHO document advises AGAINST vaccination of travelers who have never had dengue because it may be harmful. Yes, WHO admits that Dengvaxia may be harmful to those who have never been infected with dengue. WHO says Dengvaxia is a lot less effective to those who’ve never had dengue, and that it may even be harmful to them. Page 12 says that according to Dengvaxia’s packaging, the drug should NOT be administered to those with severe allergic reactions, those with immune deficiencies such as HIV or AIDS, and those who are pregnant or breastfeeding. So why was there no contraindication against those who’ve never had dengue? Again, this is an admission that there weren’t enough samples. There. Page 24 of the 17 March 2016 WHO document said what Sanofi said just days ago. There probably are more red flags after page 24 of 67, but I believe that discovering five should have been enough to convince authorities to think twice about Dengvaxia. WHY DID AQUINO’s GARIN IGNORE THEM? It’s interesting to note that on 01 April 2016, the Philippine Daily Inquirer published the article “WHO approves PH rollout of dengue vaccine”, even if WHO only essentially said they tolerate the rollout and that they do not necessarily approve of it. In short, Aquino’s Garin rolled out Dengvaxia in contravention of expert opinion. As if the 17 March 2016 WHO document wasn’t enough, the WHO issued another document a month later that basically reiterated the warnings. On 14 April 2016, or several days after the Aquino Government launched the mass vaccination program, Peter Smith of the London School of Hygiene & Tropical Medicine delivered a report entitled “Dengue Vaccine (CYD-TDV ‘Dengvaxia®’) Clinical Trial Results to the World Health Organization [WHO]. Dengvaxia is untested on people aged 9 and older AND have never been infected with dengue. That is, in as far as those aged 9 and up and seronegative are concerned, the drug is UNTESTED. How many among the 1 million kids aged 9-10 that Aquino and Garin targeted for vaccination with Dengvaxia have been previously infected with dengue? Seroprevalence, meanwhile, refers to the seropositive proportion of the target population. The studies mentioned in the previous sections indicate that Dengvaxia is considerably effective for seropositive recipients and I will not contest that. The problem, however, is what Dengvaxia does to seronegative recipients. A basic tenet for medical practitioners is the phrase [Harvard], “First, do no harm.” With respect to Dengvaxia, I think it’s clear that Dengvaxia must first be proven to be safe for seronegative recipients aged 9 and above. Sanofi did not do that, the WHO confirmed that Sanofi did not do that, and the Aquino government ignored that WHO confirmation. But then, it must be noted that we are talking about Public Health here, so there are times when compromises have to be made for the sake of the entire population. SAGE recommended countries consider introduction of CYD-TDV only in geographic settings (national or subnational) with high endemicity, as indicated by seroprevalence of approximately 70% or greater in the age group targeted for vaccination or other suitable epidemiologic markers. The vaccine is not recommended when seroprevalence is below 50% [WHO]. In short, DO NOT mass vaccinate if over half of the target population has never had dengue... but Garin decided to vaccinate anyway. Remember that the Aquino Government deployed Dengvaxia to 1 million 4th graders aged 9-10. Did Aquino’s DoH test the 4th graders to measure seroprevalence? Was there a DoH study showing that over half of the 1 million 4th graders had dengue in the past? Were all the 1 million 4th graders subjected to an immunoglobulin test to confirm the presence of dengue virus in their bloodstream (seropositivity)? Did the DoH even attempt to ask each of the parents of these 4th graders if their child has had dengue and if so, what proportion of the 1 million kids had the disease before? Reactions to dengue infections vary so some of those infected may have been minimally symptomatic, so did the DoH attempt to ask parents if their child previously showed some dengue symptoms and if so, what proportion of the 1 million kids exhibited dengue symptoms in the past? Was there even a random sampling of the 1 million kids to estimate seroprevalence with a respectable statistical confidence level? I have asked several public health professionals from these areas and they said no, there were no studies like these. This is something that the Senator Gordon may want to verify with Garin. The Aquino Government should have undertaken due diligence measures, but they didn’t. And here’s the bad news: a year and a half into the mass vaccination program, [Sanofi] itself confirmed on 29 November 2017 that Dengvaxia is dangerous for use on seronegative 4th graders. Why did Aquino and Garin fail to conduct these studies before launching the mass vaccination program? Because of Dengvaxia, 4th graders who have never had dengue will immediately face the risk of organ damage at their first natural infection, among other complications. Simply stated, the #DengGate issue revolves around the deployment of an insufficiently tested and highly dangerous vaccine to 1 million Filipino children, despite the wealth of warnings that predated the mass vaccination’s launch. However, I think Sec. Ubial, Garin’s successor, may also be liable for this debacle. While some camps may argue that Ubial opposed Dengvaxia, the fact of the matter remains that she continued its deployment after she took over the Health Department in July 2016. That’s also something that must be explored. With that said, I will agree this is the right time to call for a Senate Investigation. WHY WERE AQUINO AND GARIN ON SUCH A RUSH AND WHY WAS GARIN SO POSITIVE ABOUT DENGVAXIA DESPITE OPPOSITION FROM EXPERT?